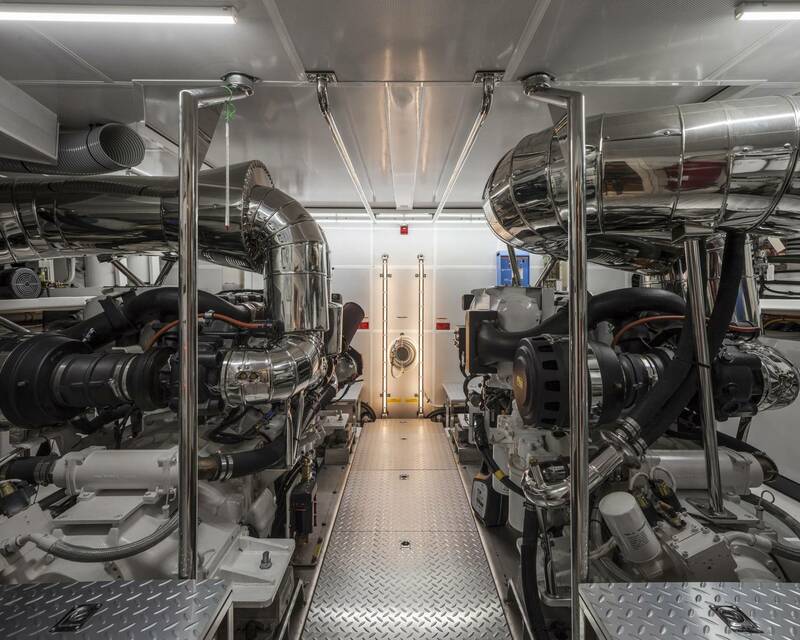 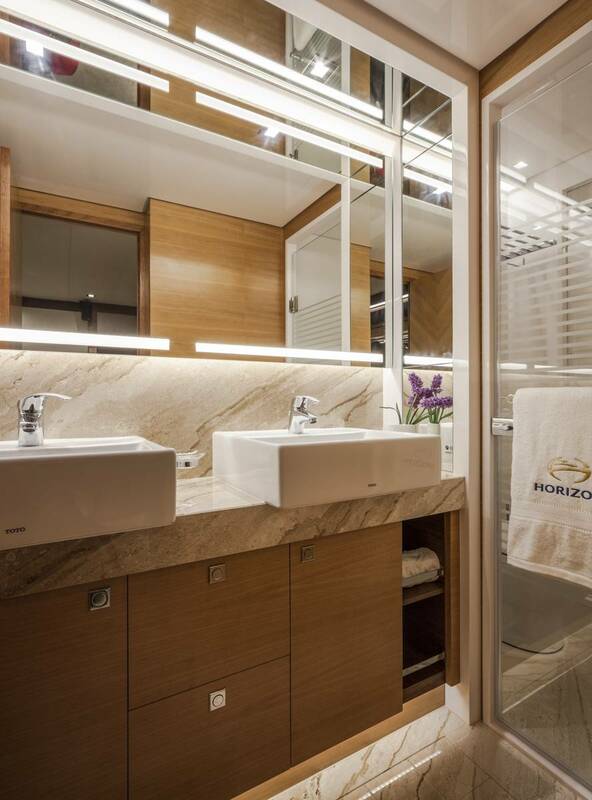 The new Horizon E75 motoryacht is an evolution in design of the extremely popular E73 model. 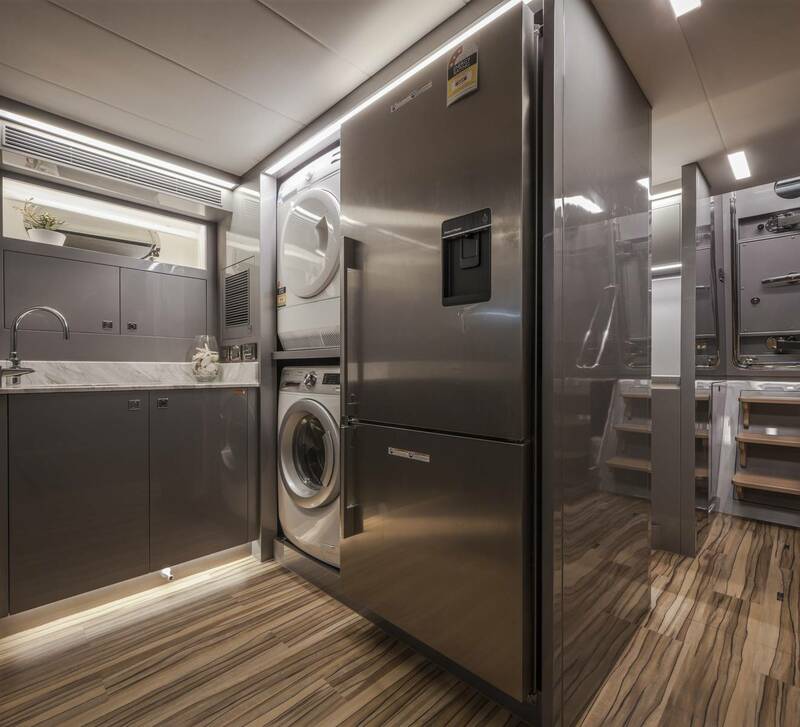 With a number of similar design features, the E75 capitalizes on the success of the E73 but takes form and function to the next level. 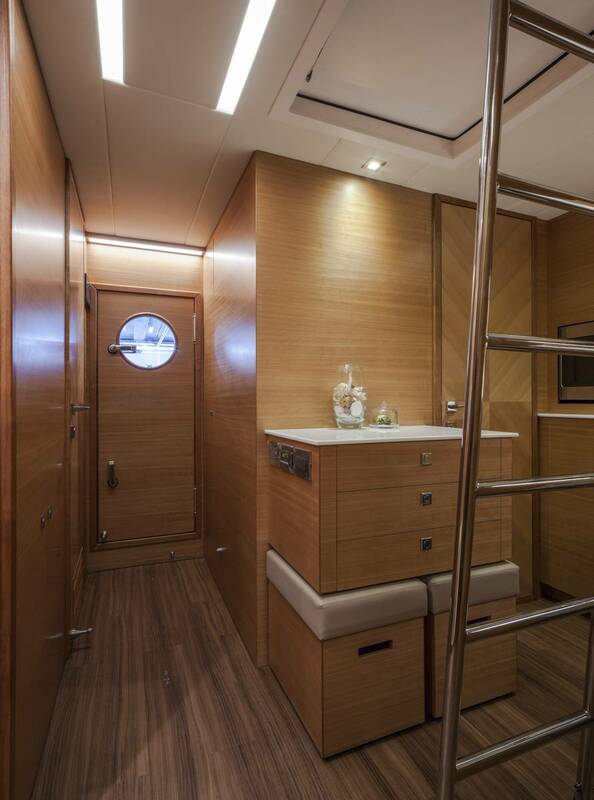 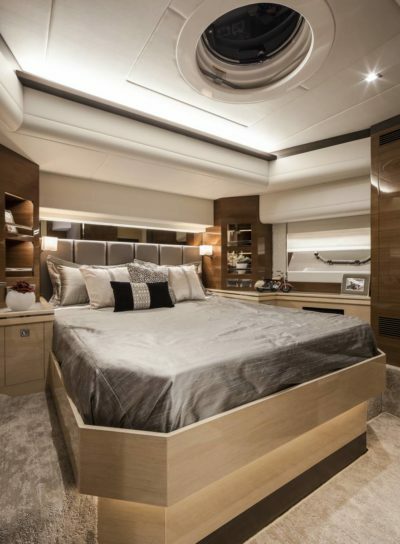 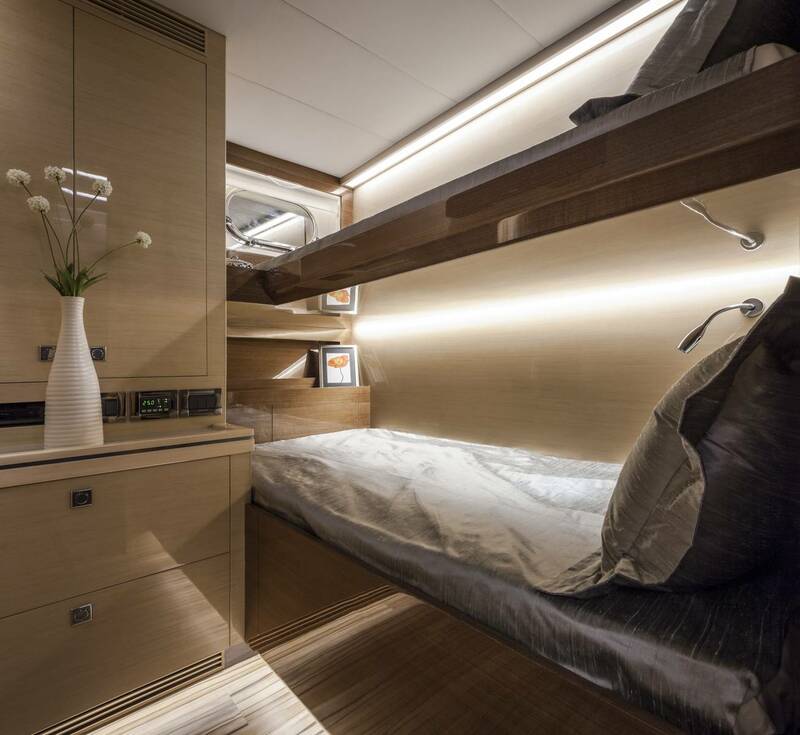 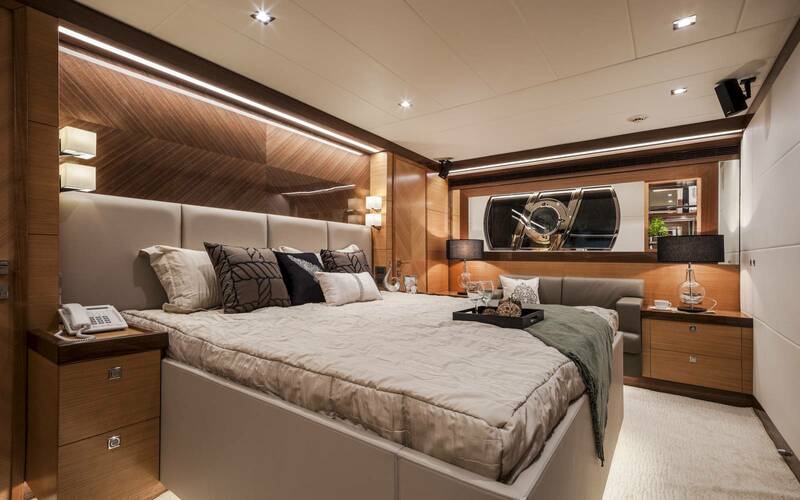 Consulting with Horizon owners around the world, the Horizon design team listened to their feedback and responded with new concepts and designs for both the interior and exterior that puts the new E75 in a class of her own. 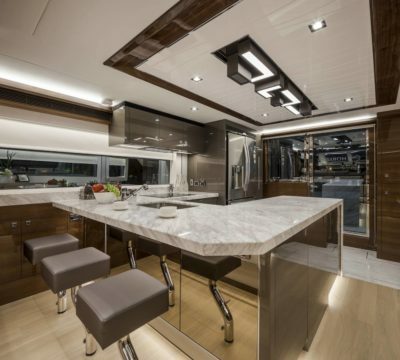 Her stylish exterior follows the successful lines of the E88 motoryacht, and the interior features increased volume and numerous entertaining areas to accommodate a number of guests on board. 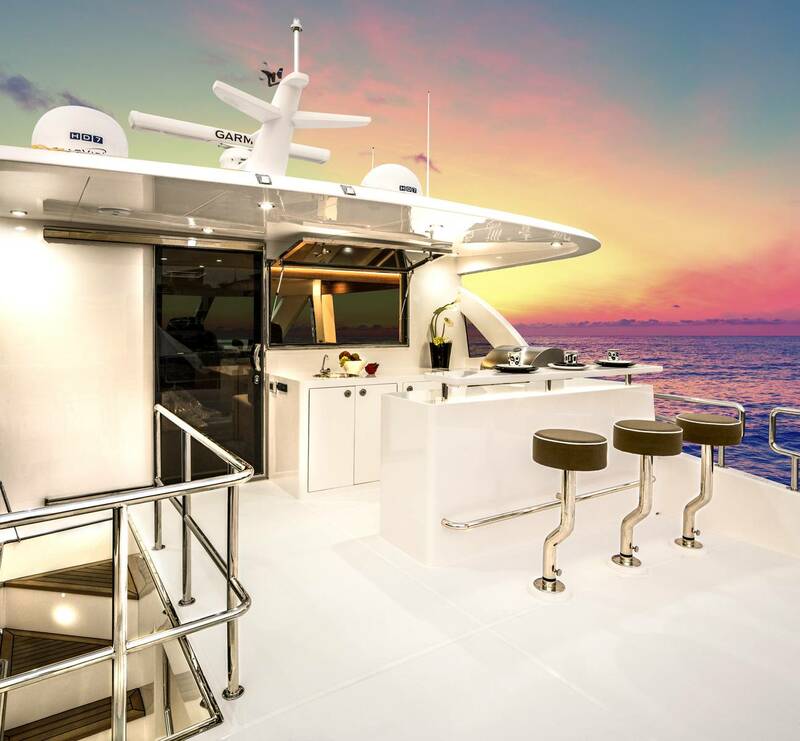 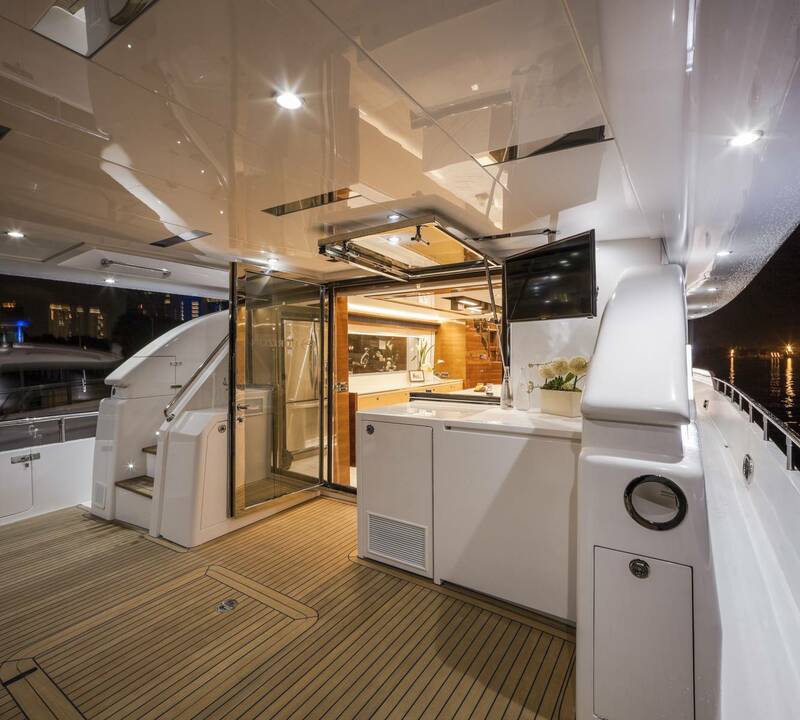 Entertaining with family and friends becomes a true pleasure with a creative foredeck seating area, exterior bar on the boat deck, and an incredible aft deck for luxurious, shaded relaxation. 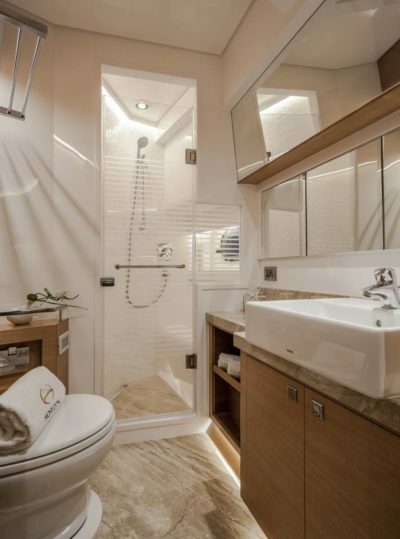 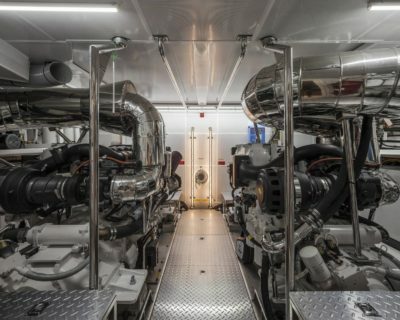 This is a yacht that defies size perception and provides the amenities and space of a far larger yacht in a profile that will take your breath away.